Mulberrys is hiring! As we continue to grow and expand, we’re able to offer more opportunities to those in our community, which is incredibly exciting for us. 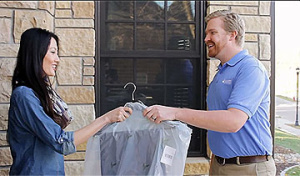 Team Mulberrys has always operated like a family-away-from-home, and right now, the Mulberrys family is excited to look for bright, talented, self-motivated new members to join our team. Some members of Team Mulberrys pose with our owner, Dan Miller. Our retail team has both full-time and part-time opportunities, available on both week days and weekends. We also have openings on our route/delivery team! 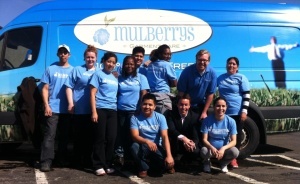 Mulberrys offers on-the-job training, a stable schedule, and competitive wages. If this sounds like something you, or someone you know, might be interested in, we want to meet you. 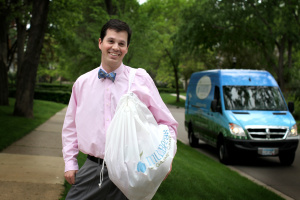 To be considered for employment, please submit your resume to hello@mulberryscleaners.com. We can’t wait to have you join the Mulberrys Family! See you soon!